Growing up as the oldest child in a working-class family, Laura experienced first-hand how critically important it is for everyone to have access to education, healthcare, and economic opportunity. Laura has spent her life making sure people have a voice on the issues that impact their lives. 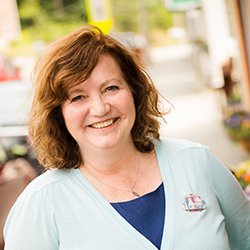 She has served at the helm of the Maine Women’s Lobby, Maine Women’s Policy Center, the Maine Department of Labor, and the United States Department of Labor (wages and hours division). Laura also held the role of director of the Frances Perkins’ Center – a personally meaningful role for her as Perkins has long been a hero of Laura’s. She has led efforts to end sexual assault, domestic violence, and discrimination, and to expand access to healthcare and better jobs in our communities. Laura has built coalitions, created programs, and brought funds to Maine that are making a real difference in the lives of hard-working Maine people. 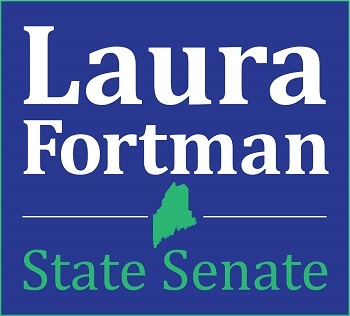 In 1996, Laura fought to help pass Maine's first clean elections laws. In her campaign for Maine Senate, she refuses to take a dime from lobbyists, PACs or other special interests. Thanks to the support of nearly 600 Senate District 13 residents, Laura is no longer seeking clean elections qualifying $5 contributions for this race and is focused on listening to the concerns of people in her district. Laura knows that in order to support and strengthen local businesses, including our farms and historic downtowns, we have to build on our natural strengths and competitive advantages. Maine can build an economy for the 21st century by expanding broadband into our most rural communities and creating opportunities for lifelong learning, including apprenticeships and vocational training. It's not just about making sure that children are fed, but that their parents find good jobs and can support their families. Family-friendly policies like childcare, paid leave, and predictable scheduling will help us retain and attract young families. Laura will fight to expand access to healthcare, affordable housing, and public transportation, which will help all of us, including Maine's older adults. This infrastructure will allow seniors to more easily age in their own homes and continue to contribute to the social and economic fabric of our communities. Laura believes that everyone deserves access to affordable healthcare. Expanding Medicaid will bring healthcare to more than 70,000 Maine people, and help us tackle opioid addiction and other substance use disorders and the devastation they cause. But we can’t stop there. We need to strengthen our health care system overall and people’s access to it. Laura will start by addressing the skyrocketing costs of prescription drugs so that seniors and all Mainers are able to afford essential medications. Whether for hunting, sport, or personal protection, Laura understands Maine’s long-standing tradition and culture of responsible ownership and use of firearms. She is committed to exploring common-sense solutions that will reduce gun violence, while protecting the rights of law-abiding gun owners. Laura has been a tireless advocate for women and families for more than 30 years. She understands that when women and men prosper equally our communities thrive. As head of the Maine Women’s Lobby and as the Maine Commissioner of Labor she fought for state laws to guarantee equal pay for women and against sexual harassment in the workplace. Laura supports a full range of options for women and families including paid sick and family medical leave, access to flexible, high-quality child and elder care, and the basic right for women to make their own personal health care decisions. In Augusta she will continue her fight for policies that support economic security for all Maine families. It is essential to protect our quality of place and heritage by creating a sustainable balance between conservation and development. Laura will support policies that explore and support renewable energy opportunities, take a stand against oil drilling off our coast, and confront the reality of climate change and the impact of ocean acidification. Our natural environment is part of our identity as Mainers, and sustains our natural resource, fishing, and tourist economies. Laura knows that fully-funded education from pre-k through grade twelve ensures that Maine students get a solid start in life. Restored revenue sharing will mean that communities can better balance quality education and affordable property taxes. Laura wants to expand support for apprenticeship programs, technical training, Maine’s community colleges, and university research and development programs - which are key to the success of Maine workers and businesses.